I’m headed to Europe this summer for a family reunion 7 day cruise, starting in Athens and ending in Barcelona. I blogged previously about booking business class airfare SFO>ATH and BCN>SFO for only $2000. Given that economy fares were around $1400, I was happy to pay a little extra for more comfort! At the end of the cruise, my boyfriend is flying to Barcelona from SF. We’ll spend a few days exploring Barcelona with my family before they head back to LA. Then Max and I will spend a few more days in Barcelona before heading back to SF. 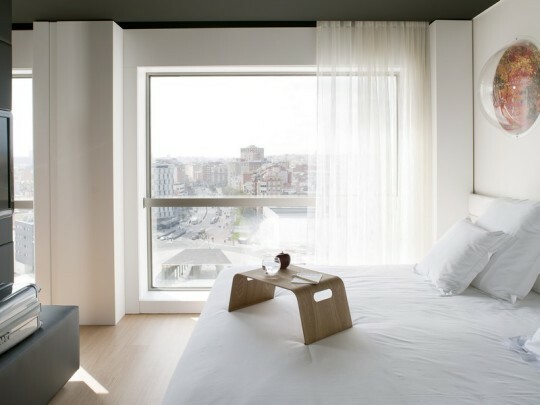 Overall, we’re going to spend 7 nights in Barcelona, and the trip is a few months away, so it’s time to book hotels! For the first half of our stay, we’ll be staying at Barcelo Sants. My dad picked this hotel for its value and proximity to public transit. I figured this would be a good situation to use my Citi Prestige card’s 4th night free card. Since the process requires a phone call, I’ve been procrastinating. I finally checked this task off my list this weekend, and it was pretty easy. I went to the hotel’s website to check out the price for our stay. For four nights, it would be about 560 Euro. I can’t function without breakfast, so I prefer hotel breakfasts for efficiency. 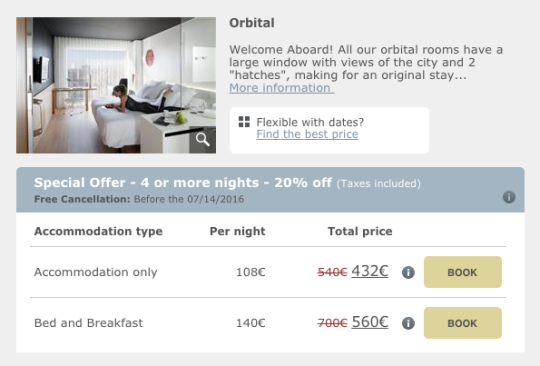 In this case, the cost of the 4th night is 144Euro. You can save A LOT of money if the rate of the 4th night is higher than the rates for the other nights. I called Citi Prestige to make my travel reservation, and the call took about 20 minutes. The woman helping me didn’t see the breakfast rate on her portal, but was able to book the rate for me after confirming she saw it on the hotel’s website. Rate Disclaimer – The total room rates above may not include other taxes, local taxes, or resort fees. All amounts are quoted in today’s rate of exchange and are subject to change. Because you are a Citi Prestige cardmember you are eligible to receive a complimentary fourth night as an exclusive Prestige benefit. The complimentary 4th night rate credit in the amount of $127.80 is calculated based on the actual rate for the 4th night plus taxes. This statement credit in the amount of $127.80 USD will appear on your Citi Prestige World Elite MasterCard within one to two billing cycles after check-out of the hotel and verification that the stay was fully paid with your Citi Prestige MasterCard. Exchange rate is based on today’s rate of exchange. The Citi Prestige Hotel statement credit will be the cost of the 4th Night Stay room rate plus taxes. The statement credit will post within 1-2 billing cycles of a fully prepaid booking or 1-2 billing cycles after check-out. The stay must be fully paid with your Citi Prestige MasterCard and meet the Prestige benefit terms, including minimum stay requirements. Cancellation or changes to your reservation may result in the reversal of the statement credit. The Complimentary Prestige Credit will appear in US Dollars. The US Dollar rate of exchange is calculated at the time of booking. Cheers to saving $127, thanks to the Citi Prestige card!